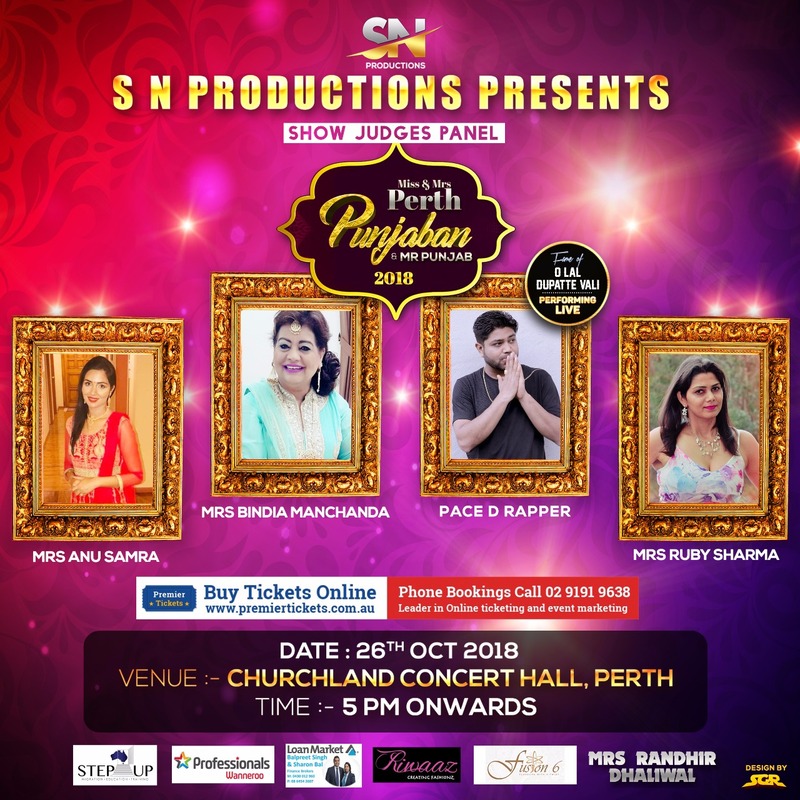 SN PRODUCTIONS presents Mr, Miss & Mrs Perth Punjaban 2018. No ticket for infant (0-2yrs. 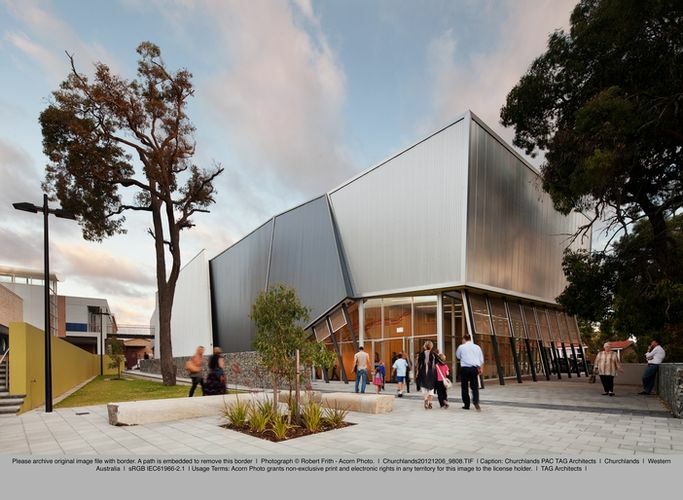 No seats will be offered to kids under 2 years. 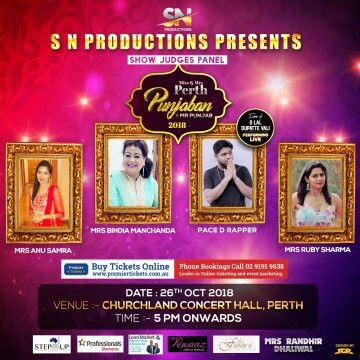 Premier Tickets Australia is proud to be the online ticketing partner for Mr, Miss & Mrs Perth Punjaban 2018 @ Churchlands Concert Hall. 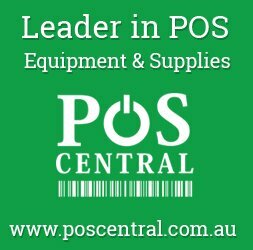 Contact us for any of your ticketing & marketing needs.